Killer Characters: The experiment goes BOOM! I always knew science could be dangerous, but it wasn’t until science camp this summer that I knew it could be deadly. My friend Colin and I had been investigating a series of pranks during Discovery Camp this summer. At first it was just missing items, like markers and a few chemical, but then there was the accident. The accident happened during a chemical experiment. The experiment was pretty simple. The purpose of it is to find out whether the sugar in beverages is a reducing sugar or a non-reducing sugar. Non-reducing sugars, like sucrose, table sugar, are believed to be healthier than reducing sugars, like high fructose corn syrup. But before Dr. Comfrey, our chemistry professor, can finish the experiment, it explodes! Now, Colin and I have to solve the explosion as well as the pranks. I had to giggle when watching it. 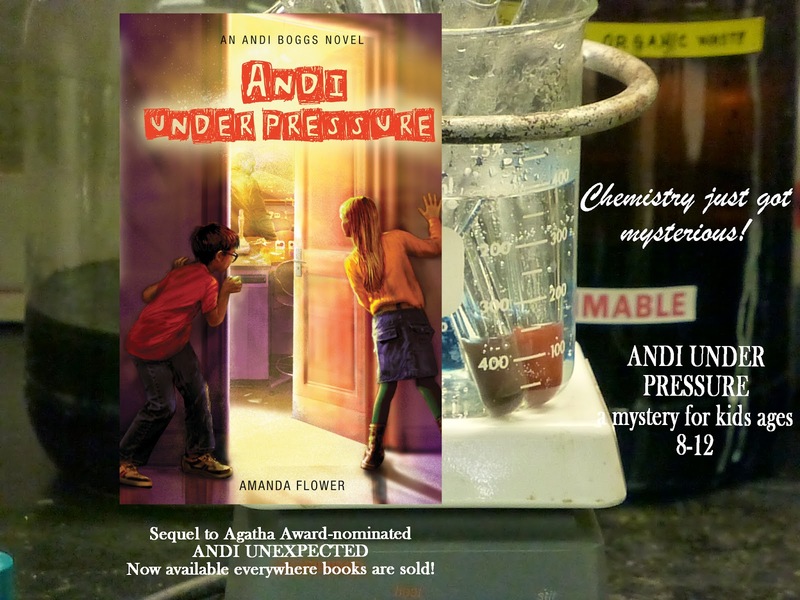 Amanda is not a scientist, and it’s pretty clear she doesn’t know her way around a science lab.